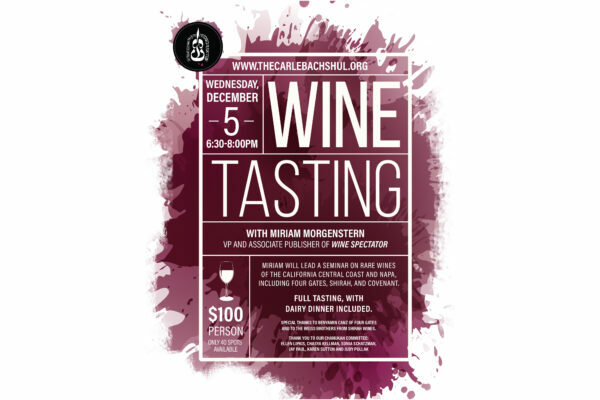 Join us at The Carlebach Shul for a California Connoisseur Kosher wine tasting – a unique taste of rare California wines, including Four Gates and Shirah first releases straight from the barrel. Miriam will lead a seminar on rare wines of the California central coast and Napa, including Four Gates, Shirah, and Covenant. Full tasting, with dinner included. Special thanks to Benyamin Canz of Four Gates and to the Weiss brothers from Shirah Wines.